We have a really good box to store things in. It's a cuboid that's 12 cm long, 8 cm wide and 10 cm high. 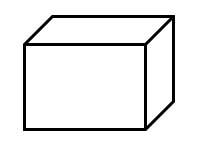 What is the SMALLEST CUBOID that you can put in the box so that you cannot fit another that's the same into it? You could use little cubes that are 1 cm wide, long and high that clip together or make a cuboid that must be a whole number of cm wide, long and high. Let us know what you come up with - and what is more important - how you came to get a solution. Compound transformations. Combinations. Interactivities. Cubes & cuboids. Volume and capacity. Practical Activity. Working systematically. Visualising. Investigations. Addition & subtraction.